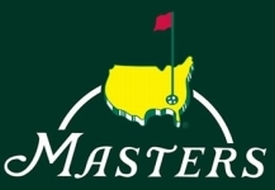 The Masters Picks Are Up! The picks and round one standings for this year's first tournament and first major are on the site. We chose a mere 17 golfers. World #1 (for now) Jason Day was the only unanimous pick. Youngsters Jordan and Rory were the 2nd most popular golfers, picked 13 times each. Rickie "Mr. 80" Fowler and Bogey Train Bubba show up on 12 teams each. Eleven players chose Adam "I miss my long putter here" Scott. Old man Phil Mickelson got the nod 9 times. Louie O. and Henrik S. were picked 5 times each. Rose is the only 4-bagger. D.J. is the only trey. Charl, Hideki and amateur Bryson DeChambeau were this week's deuces. Since we base the pool on money winnings, picking an amateur is kind of like carrying a bag full of 38 inch golf clubs. Somehow we managed 3 unique picks. Dan, Joe and Chris were the only ones with any real imagination and each had one unique each. The remaining 13 of us towed the party line and will not know the the glory of a unique making a back nine Sunday charge or the agony of a unique's Sunday collapse this week. Steve, Brian G. and Oliver have the same 7 golfers on their teams. As you may have calculated from the last paragraph, we picked up 3 new players for 2016. They are Brian T., Andrew K. and Oliver J. I didn't get much info on these guys so the introductions will be brief. Andrew and Oliver are assistant golf professionals at Fishers Island Club and work with Randy and Dan (Dan is the head pro/director of golf. No one knows what Randy does.). Assistant golf professionals always know the game and make dangerous picks. I expect a couple of winners from both of them. I didn't get any information on Brian T., he's friends with Mike D., but I think I've played golf with him, if he's the the same Brian I played with, along with Mike, at Willow Run. If so, he's a good player and will no doubt throw some tough teams at us. Since we now have an all-time high 16 players the payouts will be a bit higher too. Regular events in the Spring Season will pay $52 for 1st, $27 for 2nd and $17 for 3rd. The Masters and U.S. Open will pay $87-$45-$28. The Spring Season race will be $96-$50-$30. The Year-Long will be $104-$54-$34. All these will be the same for the whole year if no one else joins for the Summer Season.